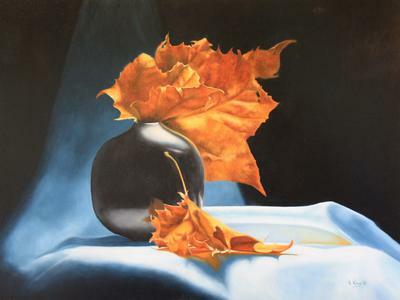 Oil paintings using the flemish technique. I met Delmus years ago and he was very helpful in helping me learn the Flemish Old Master's Technique. 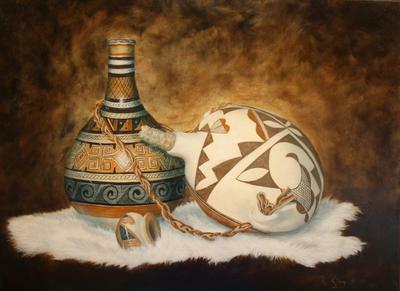 This INDIAN POTS painting was my first one. 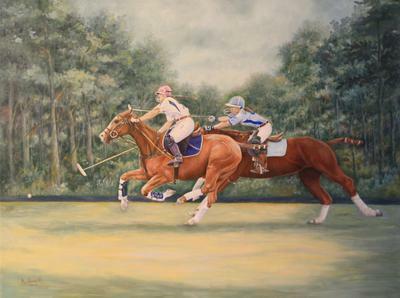 A POLO MATCH was my second Flemish technique painting. MEMORIES OF FALL was one many years into my learning of this technique. Many times over the years I have had questions pop up and I would ask Delmus who always knew the answers and was always willing to help me. 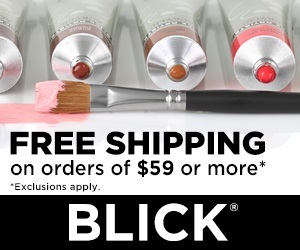 I would encourage you to study with him and learn this wonderful technique of painting. Comments for Oil paintings using the flemish technique. Hi Roena! These are gorgeous! I remember when each of these were created and they were posted to Facebook. I think I remember one was a prize winner? They are wonderful examples! Thanks so much for sharing these. I'm sure folks will enjoy viewing them for a very long time. What I didn't know was that these were your first attempts. Wow, that is incredible. Once again, the technique has proven itself to me one of the best painting techniques ever invented. I sure wish I had a patent on it. But alas, it is over 400 years old, and I suppose considered common knowledge to some. Join in and write your own page! It's easy to do. How? Simply click here to return to Flemish Technique User Comments and Success.